Figure 1. 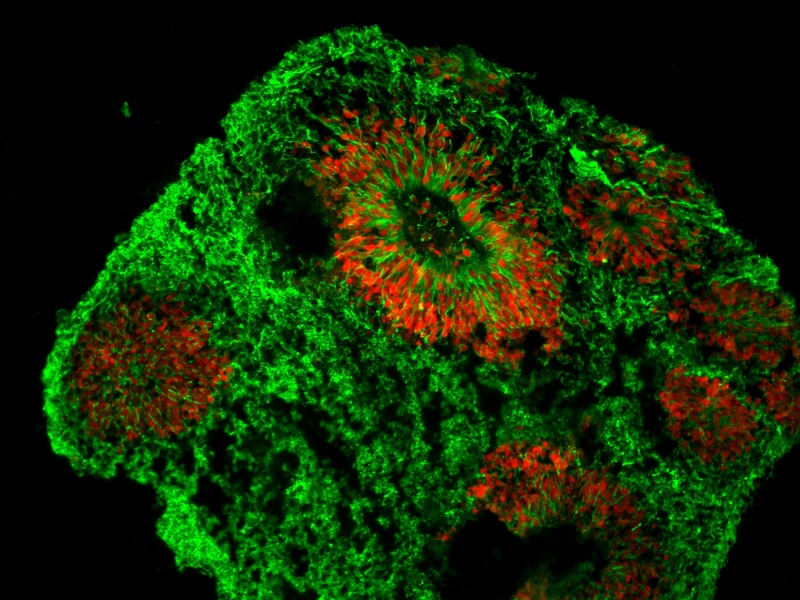 Cerebral organoid developed in Dr. Timothy O’Brien’s laboratory containing neural tube-like structures. Nestin (green) Sox1 (red). Courtesy of Dr. Timothy O’Brien at the University of Minnesota. Want to create mini-brains in your laboratory using Cell-Mate3D? Contact Us to learn More!